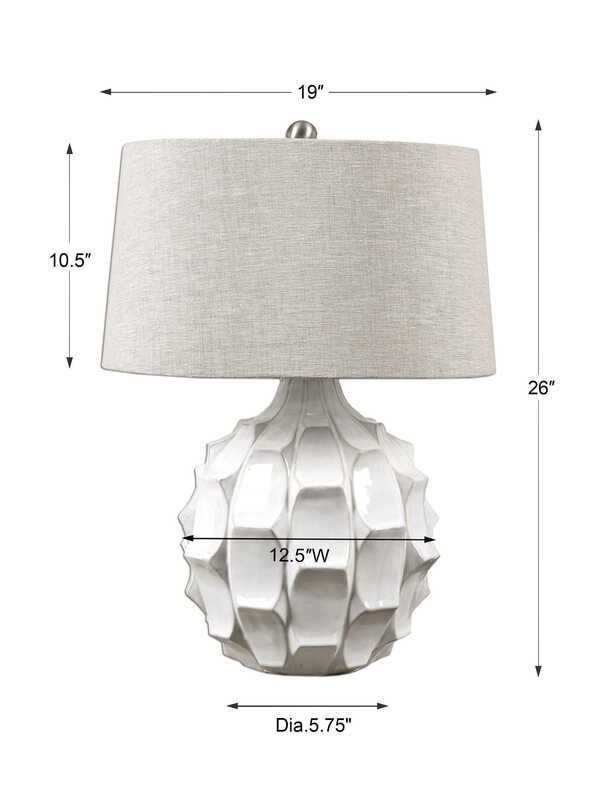 Scalloped ceramic base finished in a lightly distressed gloss white accented with plated brushed nickel details. 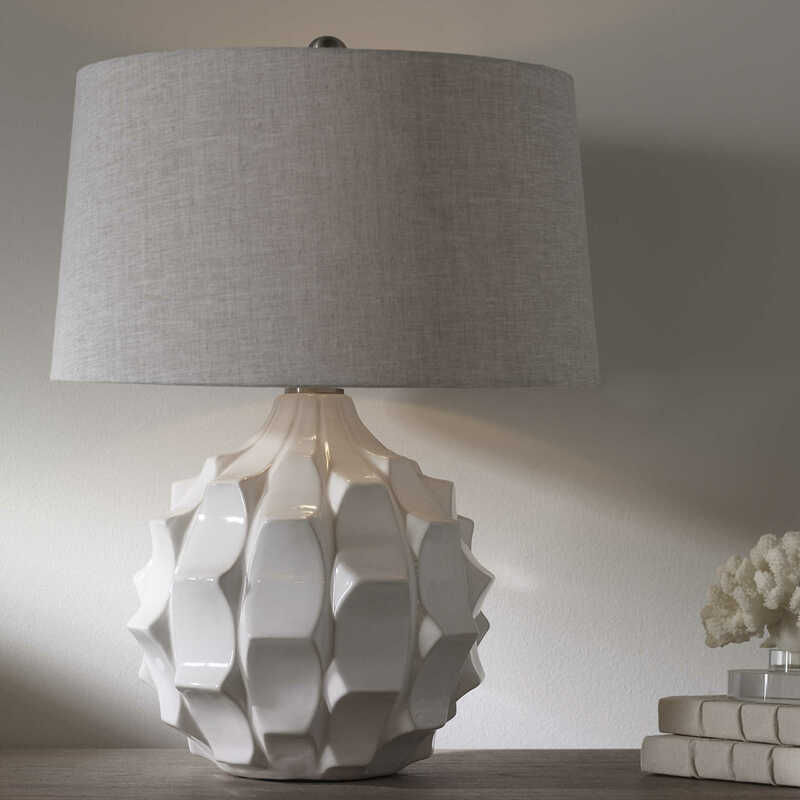 The slightly tapered round hardback shade is a light taupe gray linen fabric with natural slubbing. 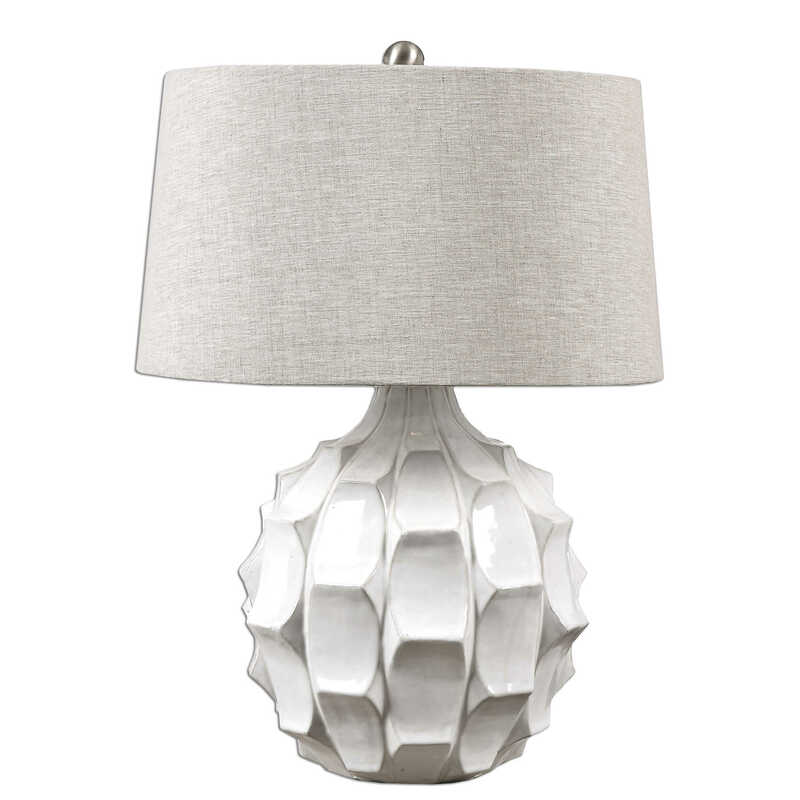 Due to the nature of fired glazes on ceramic lamps, finishes will vary slightly.